Brandon joined Aaron Gordon Daykin Nordlinger as an associate in 2018. Brandon received his BSc (honours) in Psychology from the University of Victoria in 2011, and received his JD from the University of Calgary in 2014. After completing his articles in Calgary, Brandon was called the Alberta bar in 2015 and practiced family law with Wise Scheible Barkauskas until the end of 2017. 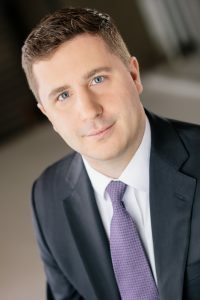 He was called to the British Columbian bar in 2018 and practices exclusively in the area of family law. Brandon provides efficient advice on all family law matters, and has experience resolving cases through both negotiated settlement and litigation. He has represented clients in the Provincial Court of Alberta, the Alberta Court of Queen’s Bench, and in alternative dispute resolution hearings. Brandon has volunteered with the Canadian Bar Association, Calgary Legal Guidance, and coached students for the Legal Education Society of Alberta. To book an appointment with Brandon, please contact Sandi Anweiler at sanweiler@agdnlaw.ca.